On my recent visit to Istanbul, I chose to stay on a very stylish, cosy and well-located boutique hotel called Frida Suites. Found at the famous area of Cihangir, the hotel was simply perfect for my short stay in the city, and it’s a great option for those looking for a little bit of luxury for a small price. The hotel was build in what used to be a normal residential building, and each room is like a small apartment, which makes you feel at home. I stayed in their Sultan Superior Suite, which is very spacious, with an amazing confortable and cosy bed, big windows, closet, sofas, an amazing shower, and a small kitchen with everything I needed, including champagne glasses, a microwave and a mini bar with water on the house. Inspired on the famous Frida Kahlo, the hotel has a unique decoration style, a combination of different textures and colors, art and Istanbul. The entire building smells amazing, a nice welcome when you enter through the front door. Frida Suites have a few different characteristics when compared to others of its genre, its reception is located on a different building, on the same side of the street, a few footsteps away; and there is no breakfast area, you can order it to your room with an additional fee. I did not use this service, since its possible to find plenty of options to have a delicious and traditional Turkish breakfast nearby. The hotel has 5 different types of rooms, and in total 9 rooms, each one with its particular decoration: Frida Suite, Sultan Superior Suite, Sultan Duplex Suite, Apart, and the Royal Roof Suite, with an exclusive view to Istanbul. Frida Suites also offers laundry, ironing and dry cleaning services with an additional fee; there is free Wi-Fi in all areas – very good connection – and a very welcoming and friendly manager, who will do everything he can to assist you and advise you during your stay. He made sure W and me had an amazing Turkish breakfast by recommending us a nice place nearby, and gave us a bottle of wine on our last night, details that make a difference and makes anyone feel welcome and taken care of. 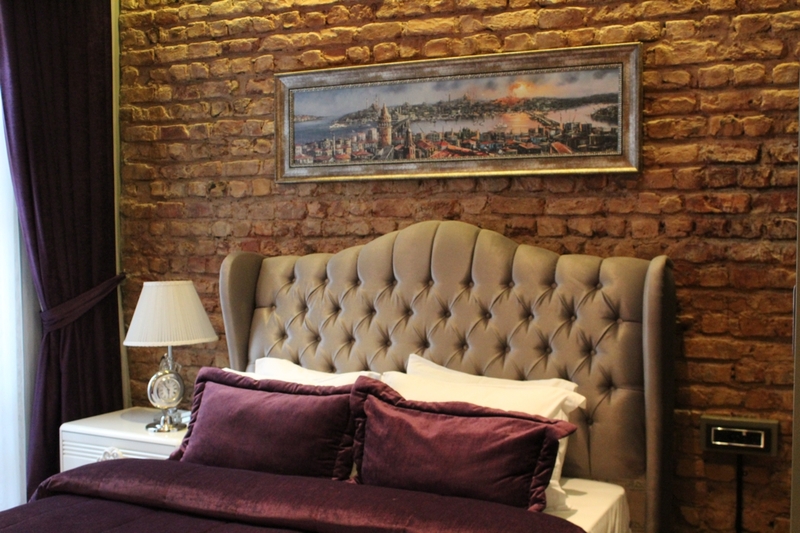 Staying at Frida Suites was not only pleasant, but also practical, the Cihangir area is full of nice restaurants and cafes, and the hotel is within walking distance to the Galata Tower, Taksim Square and Tram stations. I had a wonderful time, and I will be staying there again on my next trip to Istanbul. I stayed on the first floor, so I could sometimes hear the front door closing during the night. If you have a light sleep I would recommend staying on a higher floor, or in a room opposite to the entrance. As I mentioned it is not at the same building where the rooms are, but it’s only a few footsteps from the entrance, so I would recommend you to go to the reception first (on number 30) then your stuff will be taken to your room. Inform the code FRIDASUITCASE at the reception to get a free bottle of wine or if available, a suite upgrade! Would you stay at Frida Suites? Looks very nice and cosy, and well decorated ! The rooms look really awesome. It’s kind of weird that they don’t have a breakfast area but considering that the hotel ist that small, it’s kind of obvious why they decided to just offer it in the room. What a gorgeous place to stay! What a beautiful hotel! I want to save this post for future reference, as I am bound to visit Istanbul one day. How much was the room per night by the way? Wow! This hotel is so tastefully decorated and in a prime location. You really gave yourself some well-deserved pampering! Your pictures are wonderful! I want to drop everything and head to Istanbul and jump in that cozy bed! Yes!! I love this too, it makes the hotel a bit exclusive! Their Roof Suite is very nice for a family 😀 plus it has a nice view! 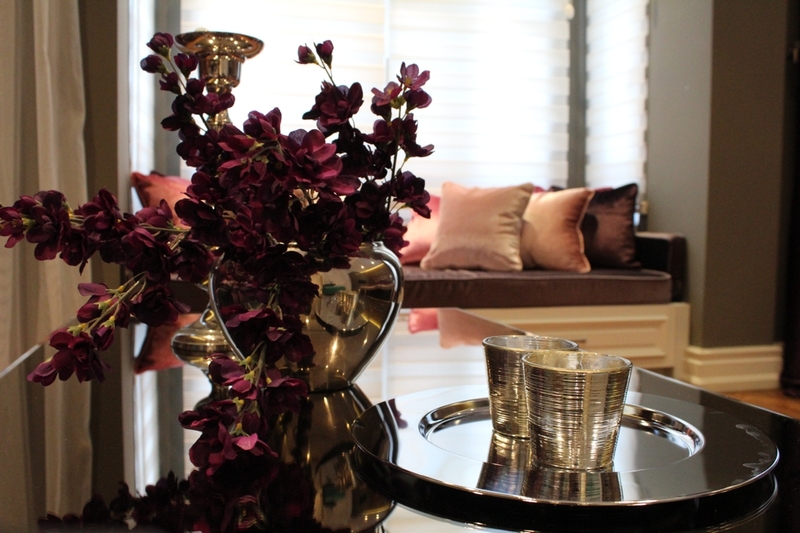 Looks like a very stylish and comfortable place to stay, love purple and grey colour palettes. hahaha you have good eyes for details Mabel 🙂 I like that! True, it looks like an apartment, it is in fact their intention. They do have heating and air-con… it was easy to control it! I also had problems with controlling the room temperature on other hotels before, but here I didnt have a problem with that. Good to hear you could control the temperature of the room. I wonder why some hotels make it so hard to do this. Yes, take as many photos as you can as soon as you arrive before it all gets messy! Awwnnn how sweet, stuffed monkeys?? What a great idea!!! Ooh, that room looks amazing! I love Frida Kahlo, was there any information about her in the hotel or is it just named after her? I didnt find any information about Frida there, I guess it was just named after her 😀 the suites are very pretty!! Such a lovely boutique hotel! I love finding smaller, non-chain boutique hotels especially when they look this comfy and pretty whilst still being well located!